In this post I’m going to talk about a powerful but less common use of social proof – to reach new customers, not just handle customer objections. We’ll look at how LaserTweets.co uses social proof as a channel, content and delivery mechanism to reach more customers. Then, we’ll take a look at a few tweaks they could implement to make their social proof even more effective. 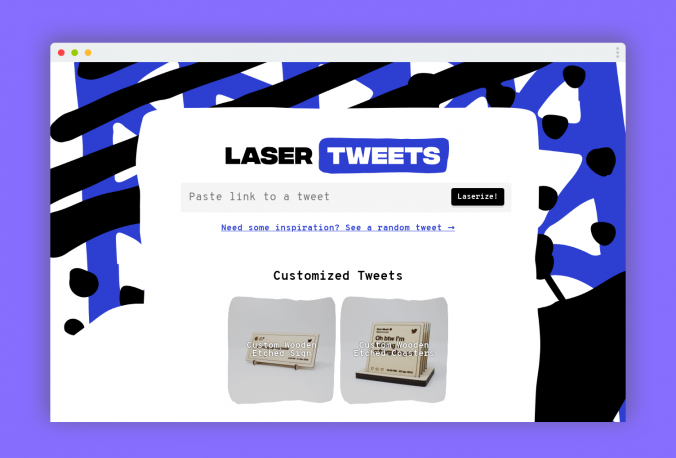 Laser Tweets is a side project built by Josh Pigford. I think it’s safe to assume that the main customer base for Laser Tweets is people who are pretty active on Twitter. What I find so exciting about how Laser Tweets uses social proof is that it has a different purpose. Normally, the main focus of optimising social proof is to go through your marketing funnel and, after working out the main customer objections at each stage, craft the perfect social proof to help as many customers overcome those objections as possible. That’s definitely what I spend the bulk of my time on when consulting and in my course on social proof. But, as you’ll notice when you check out the Laser Tweets site, they don’t use social proof to do that at all. Not even a little bit. In fact, there are several really simple, low-hanging-fruit tweaks they could make straight away to boost conversions significantly. So in that case, what makes Laser Tweets so exciting? Well, thanks to the pretty homogenous audience they have, Laser Tweets can use social proof not only to improve conversions on-site, but to reach and attract new customers in the first place! Social proof to reach new customers? They have to have a tweet in mind which they would like printed. 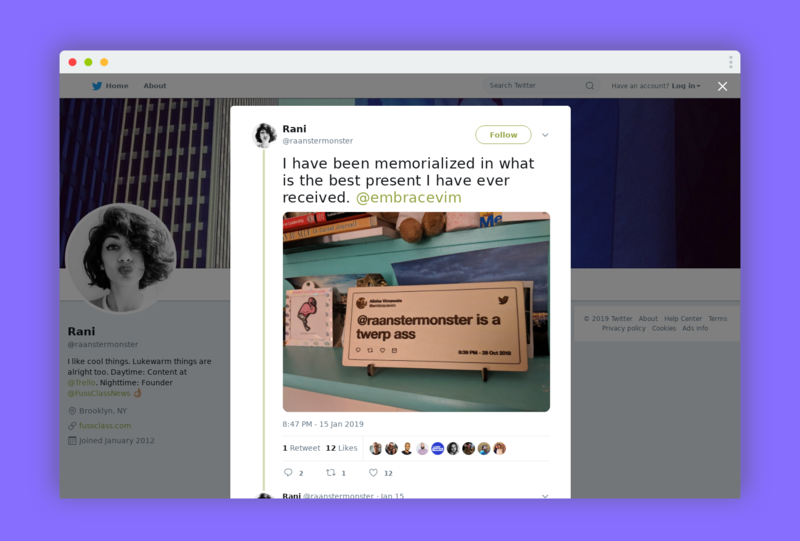 If you think about it, that means most customers will either themselves tweet often, or they will know someone who is active enough on Twitter for such a Laser Tweet to be a good present for them. What does that have to do with social proof? Well put those three points together and you have a unique opportunity to turn your customers into your biggest, most successful (and free) marketing channel. Cash incentives. A referral bonus for sharing on Twitter makes it more likely people will do so. 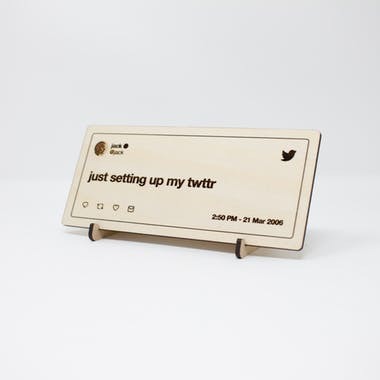 A slightly more in-your-face possibility is to post the customer’s order on Twitter yourself (ie from the Laser Tweets account) and tag the customer, making it just one click (retweet) to share. Obviously there are some concerns here around privacy/gifting etc. *Laser Tweets may well have implemented some of these suggestions or have very good reasons for not doing so – I’m just going off what I can see as a third party. We just talked about how Laser Tweets uses a novel implementation of social proof to reach new customers, ending with a few suggestions for how they could improve it. Hopefully you found this post useful. If so, you can sign up for early access to the Social Proof Handbook, where I wrap up my learnings from helping 30+ companies grow their revenues with social proof into an easy to follow guide. Did I miss something or get something wrong? Leave a comment or shoot me an email.